I did get in a late, late 5 mile run last night too. Not as long as I will usually got at night, but it was really late when I started and I didn’t want to push my stomach too much on the first run back. The run itself felt great and was done in under 42:00. After my post from Saturday, I have gotten several questions about race day nutrition. When I first started running, I was a Gu-a-holic. I would take in a gel every 30 minutes of long runs and during races down to a 5K. It was ridiculous, really. I started to educate myself about the ability of the body to absorb nutrition and how the body absorbs the calories you use when you are exercising. I really started to change the way I approached the way I took in calories when I ran. For example, I stopped eating anything during runs less than 90 minutes. I wanted to train my body to use glycogen stores up and really tap into that resource. 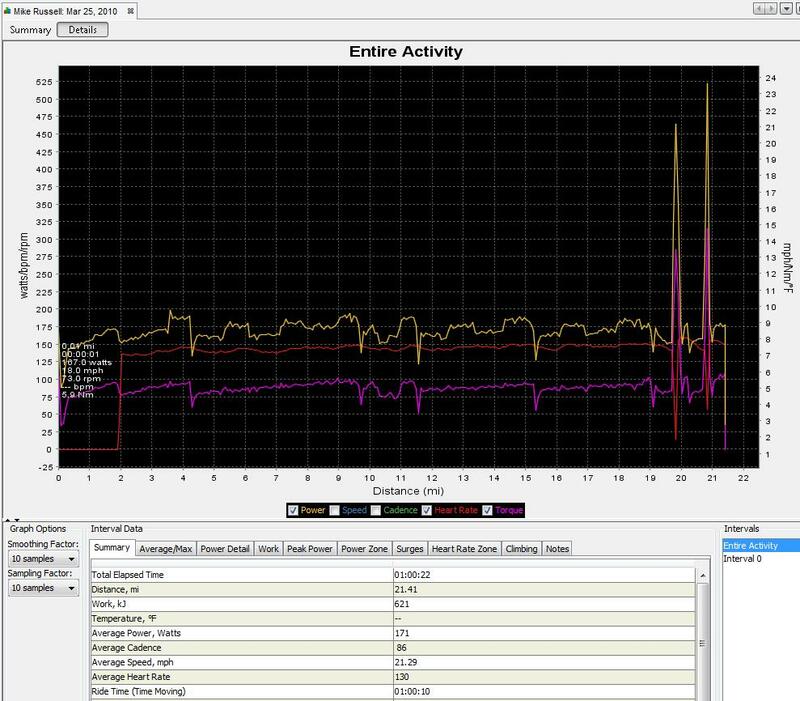 I wanted to know when my muscles and liver were out of glycogen instead of riding a sugar high…I would still drink water, but no more gels. When I started training for tri’s a couple of years later, nailing down nutrition became very important. Hard efforts were no longer an hour long like they were when running. A hard effort on the bike could take four or five hours. 2005 was my first year doing tri’s and I made a ton of nutritional mistakes during training, which lead to me actually figuring out what worked for my body. During that year I did two Olympic and on 1/2 Iron distance race. My Olympic times put me in right in the middle of the pack, but I did log a really good time for my first 1/2 Iron — 5:49. I was stoked to be able to go under 6:00 and that was with a not so fast run. I really educated myself on nutrition at this point. I kept logs of what worked and what didn’t work during my workouts. I found my body was happiest with about 250 calories per hour (I know, a little low) and about 22 ounces of water/liquid. I started using Endurolytes from Hammer Nutrition and all my cramping went away. I learned about osmolality and how it impacts the ability of my body to absorb nutrition. I started to know what to take and not to take in when my stomach felt like it had a rock in it, or it was too sloshy. I started balancing my nutrition so that I avoided these feelings all together. 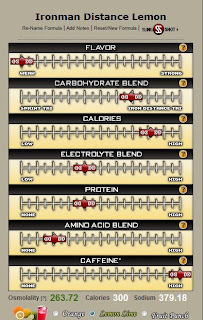 During the next couple of years I started playing around with several different options for nutrition during my workouts. I still stuck to the rule of nothing but water unless the workout was over 90 minutes. There was one exception to this — when my workouts were early in the mornings and I couldn’t eat before my workout, I would either pound an Ensure before the ride or I would take a gel right before my workout and then use them every 30 minutes. I started using food as a recovery tool. At the time I used a mix of Gu2O and Gatoraide for my liquid nutrition. I would also take a Clif Bar with me on longer rides. This strategy was alright, but the taste from the drink mixture was overwhelming. That would lead to me drinking less when I needed to drink more. Then I was told about this product called Infinit by a friend who is also an endurance athlete. I went online and researched it thoroughly. I loved the idea of being able to create your own formulas. I read up about people who were using only liquid nutrition for their entire rides! Man the idea intrigued me. I thought it would be so nice to be able to not have to worry about the packaging waste I would create when using gels or bars. I selected one of the formulas Infinit suggests for shorter course triathletes and ordered it. That was about three years ago and I have to admit that to this day, all I use for nutrition on the bike or run is Infinit. They are not a sponsor nor do they give me free product — I am just passing along what worked for me. When you work out the cost per serving of Infinit and compare it to the cost of gels and everything else you use, Infinit is slightly more expensive. For me the convenience factor and not having to worry about packaging waste on my rides or runs makes the small extra cost well worth it. And the product works. You may have to play around with the formulas and find a balance that works with your body, but it is worth the effort. This is the formula that works for me. I use it when my workouts are first thing in the a.m. I also use it when my workouts are going to be at or longer than 90 minutes. You can see I put almost no flavor in it — that is just how I roll. It is not like you are drinking water as there is still a flavor, but it is a lot less than what a 300 calorie bottle of Gatorade would taste like. Even for long courses, I still like to get most of my calories from carbs, again a personal preference. 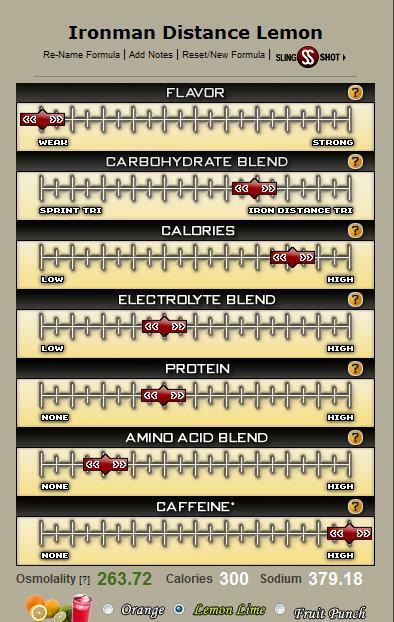 There is some protein in my blend, but not as much as others have. Then you can see I really jack up the caffeine. That is just for the pick-up that I like from caffeine, nothing more. I can’t think of any other questions that you may have, but if you can think of any, post them here and I will get to them soon. Thanks Mike! That is a big help. I'll lower the caffeine and up the flavor a little and should be good. Thanks for the explanation, much appreciated! Thanks for the nutrition info, I really need to start playing with mine but will admit that I've been putting it off, it just doesn't sound like fun to figure out on my own. Right now I'm a gatorade/shot bloks kinda girl but we'll see how the season goes with longer races.